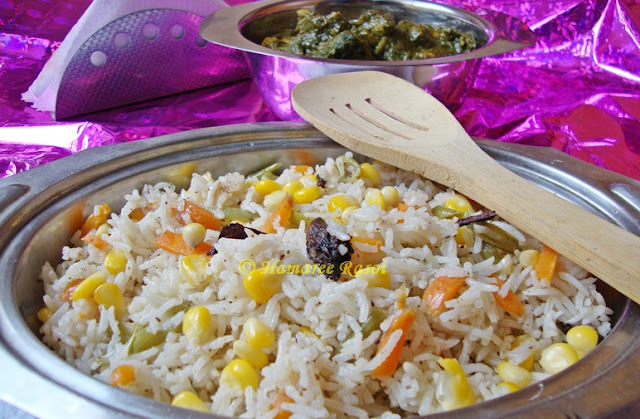 read more.. "Corn Vegetable Pulao"
The veil was lifted on 20th Feb 2012 with much fanfare for the most awaited Kingfisher Explocity Bangalore Restaurant Week. 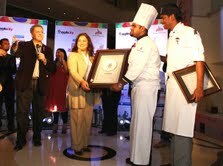 Bangalore being a foodie's paradise showcase the city's Top 16 chefs who were competing to win the prestigious title. The event was held at the Leela Palace. 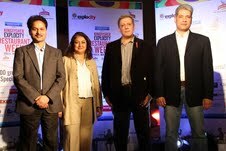 The event was organized by Kingfisher in association with Explocity. The 10 day gourmet affair will start from 24th Feb will continue till 4th March. To add to the glitter of the night, celebrity Chefs Karen Anand, Abhijit Saha and five of the most renowned bloggers and food critics of Bangalore were present to encourage the participants and judge their creations. Also the atmosphere was charged up by the presence of food lovers and connoisseurs of the city. They were glued to the two large LCD Tvs where the performance of chefs were being telecast. To keep them in good spirits, a steady supply of mouthwatering appetizers and drinks were provided. So,while witnessing the craftsmanship of cooking, the crowd were cheering for their respective favorites. The way this event has unfolded, it can be safely predict that this event is going to be talk of the town. The Kingfisher Explocity 2012 would be a very handy manual for all the foodies whoever is interested to savour mouthwatering variety of dishes. So foodies lets go for it amongst more than 100 restaurants ( Khansama, Tasty Tangles to name a few) are giving great discount with the best of the cuisines from all over the world. read more.. "Festival of Culinary Celebration With Kingfisher Explocity Restaurant Week"
read more.. "Restaurant Style Malai Kofta Curry"
Cut, wash and dice/ trim all the vegetables. In a large vessel take spinach and soak it for 5 minutes before you rinse (to get rid of the grit this step is must). Do this several times until the water is clear. You may remove the hard stalks. Heat oil in a pan till it reaches smoking point, then reduce the heat and add panch phoron, silted green chilles. Once the panch phoron releases its aroma add all the vegetables, salt, turmeric, mix well and cook for about 10 minutes, stirring occasionally. Add spinach, sugar, cover and simmer for another 5-6 minutes. Turn off the heat and this saag is ready t be served with gorom bhaat (steamed rice) and dal. read more.. "Palong Sager Ghanto (Spinach With Vegetables)"
read more.. "Fried Ice-Cream : A Valentine's Delight"
What better way to express my fondness for chocolates and celebrate today's day as Chocolate Day by preparing Dark Chocolate Cranberry Cake, for which I have summoned all my baking experience with the hope that you would be tempted to try out this recipe once. 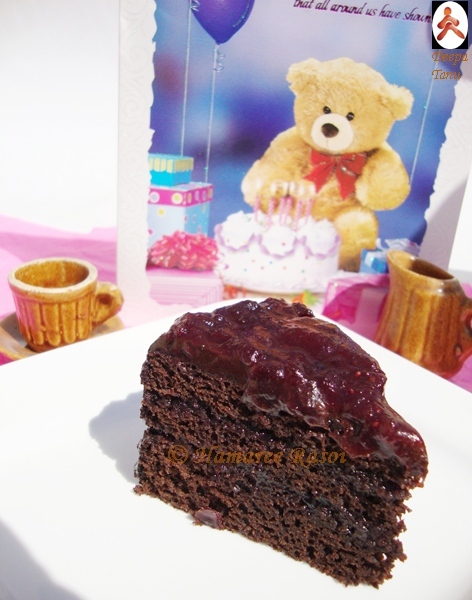 Even if any of my reader, bake this cake with cranberry toppings and share your feedback with me, I would be motivated enough to try out newer and more exotic preparations for the months to come. Best part about this cake is that it gives an unique taste of Chocolate and Cranberries, which would be very indulging and you can store it in fridge for days. Have a memorable Chocolate Day ! Pre-heat the Oven to 180 Degree Celsius, grease and flour a round pan. Sift the flour, cocoa powder, baking powder and salt in a mixing bowl. Keep aside. Beat the butter and sugar on low speed until light and fluffy. Add vanilla essence, beat on medium speed and add eggs one at a time, beating well after each addition until combined. Beat in coffee liquid slowly, stir well and fold in the dry ingredients. Pour this mixture into the pan and bake for 40-45 minutes until risen and spongy to the touch. Check by inserting a toothpick in the center, it should come out clean. Cool for 20 minutes and then invert onto rack to cool completely. Melt the chocolate by double boiler method. Stir once the chocolate starts to melt. Remove from heat and let cool to room temperature. Beat butter and sugar until it is combined well with a hand mixer. Place the melted chocolate, milk, salt, vanilla extract and beat on low speed. Then increase mixer speed to medium-high and beat frosting for about 3-5 minutes or until frosting is of spreading consistency. You chocolate spread is ready. 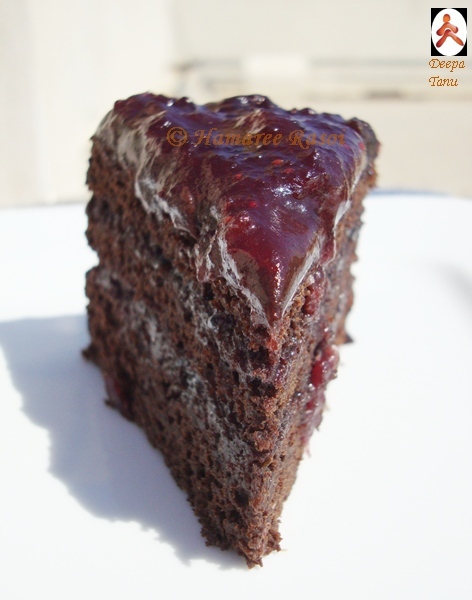 Slice the cake horizontally into three parts, apply the cranberry sauce on each layer and frost top with chocolate butter cream icing and sides of cake with a thin layer of frosting. 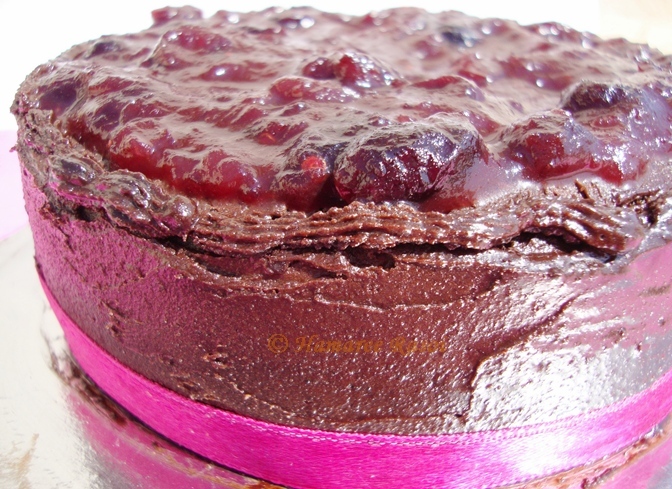 And pour the remaining cranberry sauce in the middle of the cake to decorate. Freeze for about 30 minutes and serve. 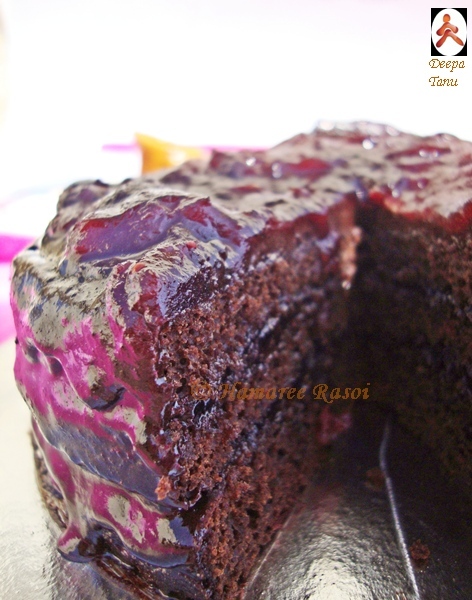 read more.. "Dark Chocolate Cranberry Cake"
read more.. "Mini Cream Cheese Cupcakes"
For all of the Foodies, ( Particularly from South Asia) , Raita is no stranger to us. 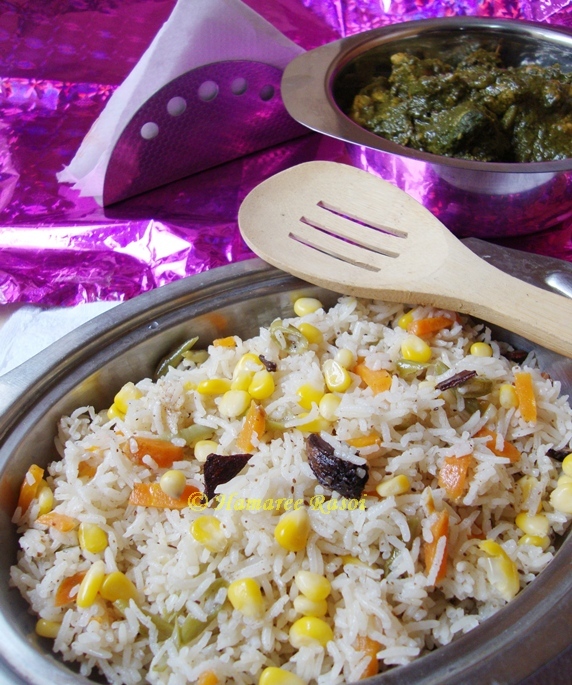 It is a curd based accompaniment of Biriyani or Pulao or even with roti . There are many flavors of Raita namely, jeera ( cumin) , cucumber , potato etc. 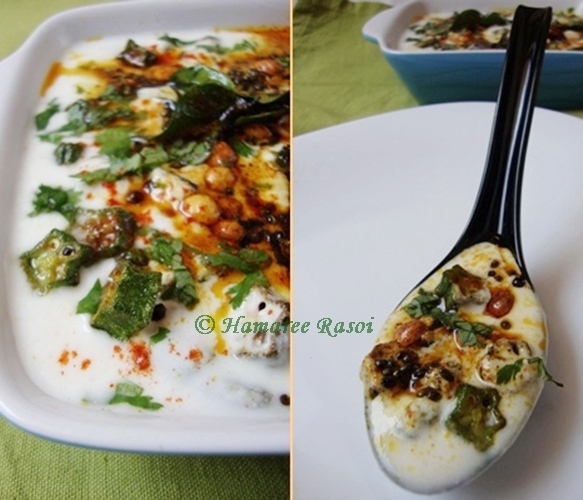 However the dish which I am about to present today is called as Bhindi ( Okra ) raita. The veggie which forms the central part is Fried Okra. Not to mention that I love okra in any form even boiled ! Yes we Bengalis have it as a Bhindi Bhate. In which 4-5 bhindis /okra is boiled in the same water in which the rice is cooked. Thereby drives the name Even in this you can find different variations like Alu Bhate, Kumro Bhate. Will tell you the details in another post. Will wait for your feedback. Wash okra and pat dry with paper towel. Cut off the crown and snip of the tail a little bit, slice into 1/2 inch rounds. Heat oil in a large pan and fry okra with little salt and turmeric over medium flame till light brown and crisp. Remove and cool completely. In a bowl beat yogurt, chilly powder and salt together. Just prior to serving, mix crispy okras with the yogurt and prepare the seasoning. Heat 3 tsp oil in a tadka pan, add chana dal and fry for few seconds, when it starts to turn light golden add whole red chilly and mustard seeds. When the seeds starts to splutter add ginger , kashmiri red powder, hing and curry leaves. Fry for few seconds and pour over yogurt. Serve this immediately with flavoured rice dishes. 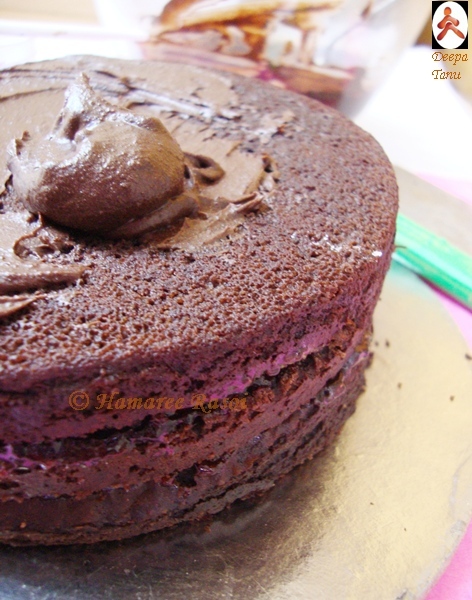 read more.. "Crispy Okra With Yogurt / Bhindi Raita"
read more.. "Nutella Buttercream With Cashew Praline"